There are few things is life that bother you more than pain and no matter what the reasons are, you try to look for pain-relief techniques. If you have tried a lot of therapies that can offer relief from pain and failed to get the solutions that you want, it is good to try some of the other methods that have proved beneficial during the recent times. For special therapies, you need to depend on the skills of professional therapists can make all the difference. Whether you experience pain in the soft tissues or it is the old pain which reverts back often, it is the choice of treatment that matters the most. Surprisingly, Electromagnetic pulse therapy has surprising benefits as it is used for healing of wounds, curing chronic pain and alcoholism. Research and studies have proved that when this therapy is applied using the right instruments and carried out by people that are conversant with the methods of applying this technique without interfering with the normal functioning of the body, you can get the benefits right away. In this treatment procedure, electric pulse is generated using electrodes which results in the creation of a magnetic field around the wound and provides relief to the patients. With the advent of Pemf System, depression and alcoholism have taken a backseat. However, the procedure of treatment is different and the electrodes are placed behind the ears which send signals to the brain. Furthermore, people suffering from alcoholism that have failed to get rid of this habit can now experience relief from the symptoms that are associated with alcoholism. Pain is not always physical but a mental state of well-being which affects the body and mind but the right techniques can help. With the introduction of pulsed magnetic therapy equipment in treating lower back and neck pain you can now have faster natural pain relief. This type of treatment has no side effects and most importantly these are non-invasive, painless and most effective treatment process. There is no need of any incision or sutures but expedites the healing process of the cells, muscles, tendon and ligaments including bones of the body naturally and quickly. Over the years, the popularity of such treatment process has risen dramatically and now you can see it being used by chiropractor and orthopedic doctors apart from the veterinarians, who were the first users. There are some specific areas in which PEMF Treatment is used and has positive effects. These areas include reducing of lower back and neck pain, decrease inflammation of muscles, improve the motor function of your body increasing you range of motion and expediting the cell function and recovery. It is also effective in controlling muscle loss after any surgery and also increases the tensile strength of the ligaments. Apart from that, it heals skin wounds faster and also enhances the capillary formation along with helping in nerve and cell regeneration. The Electromagnetic Pulse Therapy is very effective and painless which when used on a consistent basis can improve your overall health. More than 95% patients have been found to have got relief from pain through this treatment process. It is all about the high power electromagnetic pulse that is directed to the affected cells and tissues that does the magic. This pulse increases the level of electrical and chemical energy in the cells which restores the normal functionality of your body cells. 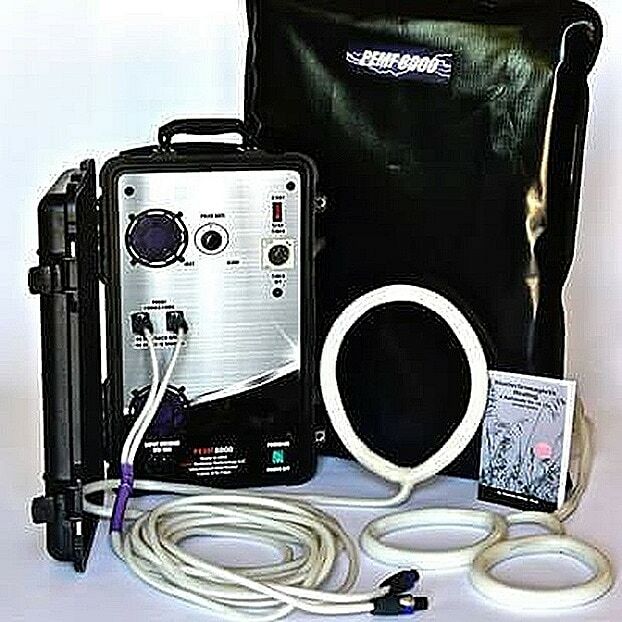 PEMF8000 offers PEMF therapy devices that have a wide variety of applicators and can help with various diseases, disorders, injuries, or diseases. Individuals can contact PEMF8000.com to find out how PEMF therapy can help with their particular needs. PEMF is a non-invasive and drug-free therapy that compliments other therapies and, together with a combination of regular exercise and a healthy diet, can aid acceleration of the healing process. However, individuals are advised to consult their physicals before changing any medication. If individuals are living with constant pain, they would likely have already tried different forms of therapy; if unsuccessful they may have taken certain painkillers to conceal the pain and organize their daily routine around their pain. This cycle is followed for such a long time that resistance builds up in the body. Long-term pain medication can also lead to other consequences such as internal bleeding and stomach problems. PEMFs can accelerate the healing process, reducing pain and allowing individuals to move more freely. At PEMF Wellness Technology one recurrent piece of feedback is that PEMF therapy improves people’s sleep quality. PEMFs are not only useful for deep relaxation but also help with falling asleep and sustaining sleep throughout the night. PEMF therapy relaxes both the mind and the body and facilitates the release of two hormones called Melatonin and Human Growth Hormone (HGH), which are crucial for longevity and deep sleep, thus improving people’s sleep. Through theta-delta frequencies, the brain is induced with the traditionally known frequencies for deep relaxation and sleep. Melatonin is one of the most vital hormones for anti-aging and sleep. PEMF therapy stimulates its production in the pineal gland. HGH is another vital hormone that plays a role in deep sleep and is also stimulated by PEMFs. During deep sleep, both Melatonin and HGH hormones are produced which are also known to have anti-aging properties. Deep sleep is promoted by PEMF therapy, thereby recharging the body and providing people with an increasing amount of energy during the day. Sleep issues should be tackled to ensure a good quality night’s sleep, because sleep revitalizes and heals the body. So, it is important to get plenty of sleep. The programs in PEMF therapy promote an alpha state, wherein the mind is awakened but relaxed, and set to learn and simultaneously retain much more without continuous reviewing. Beta brain waves are induced by another program, where the ability for data processing, problem solving, and multitasking is increased, allowing individuals to prevent distraction, have focused control, and be highly productive. Studies have demonstrated that when PEMF therapy is regularly used, it changes the body’s stress responses by directly acting on major related components, such as the endocrine and nervous systems, along with the cells or organs of the body. In addition, PEMFs can make the body less reactive to extended episodes of stress. Transcranial PEMF was approved by the FDA in 2011 for treating severe, drug-resistant depression. Use PEMF therapy to prepare, perform and recover; if PEMF therapy is performed regularly, it allows muscles to work harder for a longer period of time and recover more rapidly. PEMF therapy triggers the process of energy production in muscles and also increases the cellular energy by as much as 500%. In addition, PEMF therapy provides a gentle way to trigger the production of heat stress proteins prior to exercise. These proteins not only prevent the breakdown and wear and tear of cells, but also encourage accelerated healing from injury. Studies show that with PEMF therapy, the uptake of oxygen into muscle increases by at least 1%, which is sufficient to considerably improve endurance and performance. 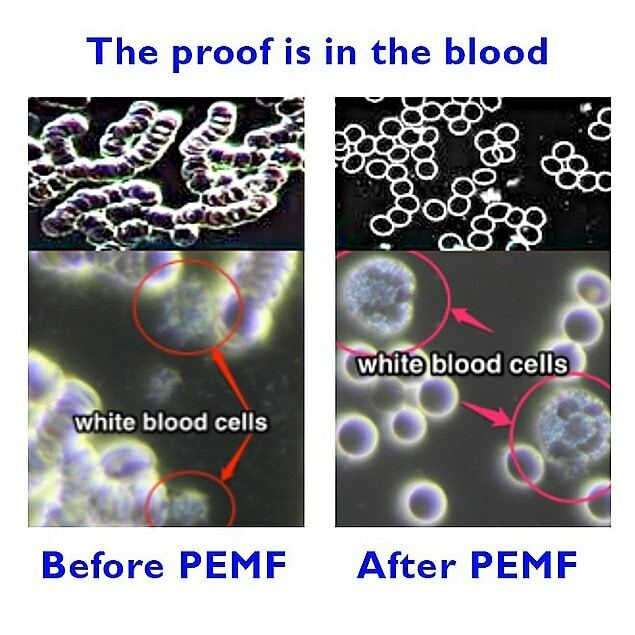 PEMF therapy also stimulates blood vessel growth, which increases circulation further aiding tissues to receive their required nutrition, while expelling their generated waste. For the casual exerciser, this means less pain and tenderness the day after activity. For the competitive athlete, this means reduced recovery time between training and more effective training. For everyone, it means building a healthier environment within the body, which is less likely to become susceptible to injury. The charge of the cell membrane is affected by magnetic fields, causing the membrane channels to open up. These channels are similar to the windows and doors of a house. When the cell channels are opened, nutrients enter the cell more easily and the cellular waste is more easily removed, helping to rebalance and restore optimum function of the cell. If sufficient cells are restored, they will all perform more efficiently. The same type of cells come together to make tissues, which in turn come together to form organs. Therefore, when cellular function is restored or maintained, organ function is also restored or maintained, enabling the whole body to function in a better way. PEMF therapy should never be used if the applicators have to be placed over implanted electrical devices like intrathecal pumps, cochlear implants, and pacemakers. This precaution is taken to make sure that the magnetic field does not affect the performance of these devices. Further than that, PEMF therapy can be safely used by everyone and anywhere. In addition, applicators can be placed over sensitive organs, for example prostate, over the eyes, and the brain. In effect, study has demonstrated that when applicators are placed the over the heart, they can improve congestive heart failure. Can PEMFs protect me from future injuries and ailments? Improper functioning of the cells, regardless of the reason, can lead to serious illness. Magnetic fields improve energy, circulation, and the repair process in order to protect against cell malfunction. They also help to increase unique stress proteins present in the cells. Cell breakdown, caused by wear and tear, can be prevented by using these proteins, which also encourage rapid recovery from injury. Magnetic fields are capable of balancing bodily functions and tissues at extremely fundamental levels, even before problems and damage take place. What is a PEMF therapy device and how does it work? 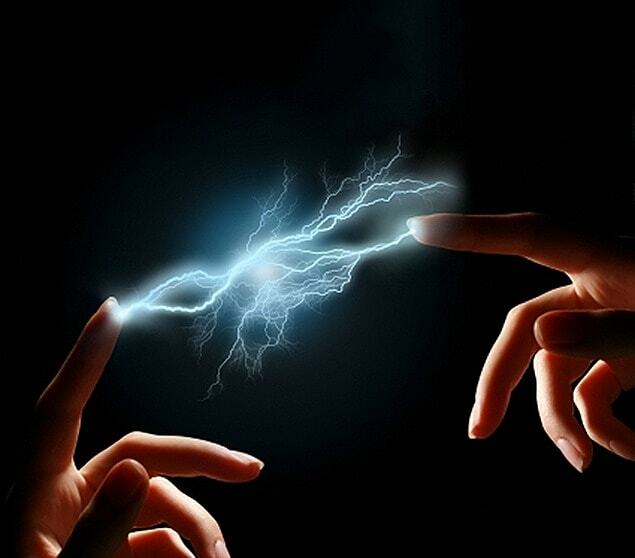 To apply PEMF therapy, an electrical current is run through a copper coil which produces a magnetic field. This has been incorporated into various types of devices, with a full body therapy mat being the most effective and oft-used device. One either lays on the mat or places the applicator in the region that needs to be treated. 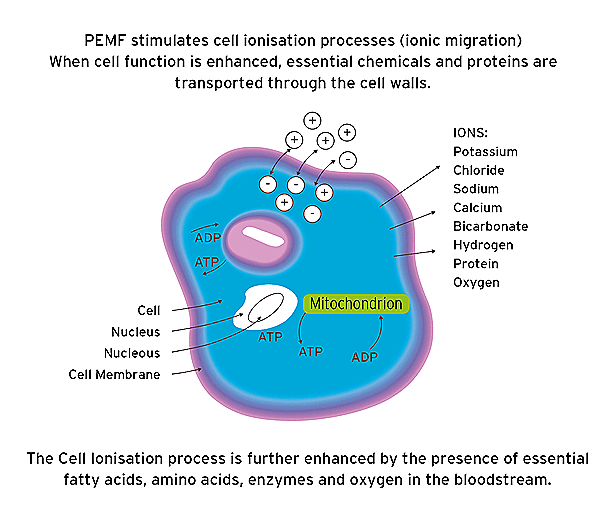 PEMFs will enter through the body targeting the muscle tissue, cells, and even bones. While the use of PEMF therapy does not affect many people, there are some who can have mild adverse reactions. Since magnet therapies have a wide range of actions within the body, it is common to experience some mild discomfort, particularly when initiating treatment. The majority of these reactions are temporary and mild. 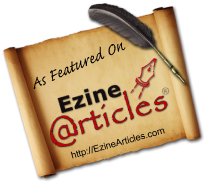 In people with electromagnetic hypersensitivity and electrical hypersensitivity, these reactions are not only increasingly common but also more uncomfortable, yet magnetic therapy is seldom discontinued in this situation. Usually, the issues can be resolved by slightly adjusting the treatment. When the cells of the body have been injured, by toxin overload, they may lose their ability to generate proper energy levels to maintain their health. When this occurs they will swell and heal slowly or not at all. The result may be chronic swelling, chronic pain(inflammation) or poor bone healing. We use pulsed electromagnetic field therapy to help the body recover from this by giving it the frequencies needed for healing. Chronic conditions will improve and soreness diminishes. It is a supportive therapy that aids with detoxification, pain relief, cell rejuvenation, chronic fatigue and many more. Pain is a message from our body. The tissue cries out for energy flow, in the form of magnetic fields. The reason that Pulsed Electro Magnetic Field (PEMF) therapy works so effectively is because it supports the metabolism and increases the blood flow throughout the whole body. Red blood cells pass through capillaries supplying oxygen to the surrounding tissues. 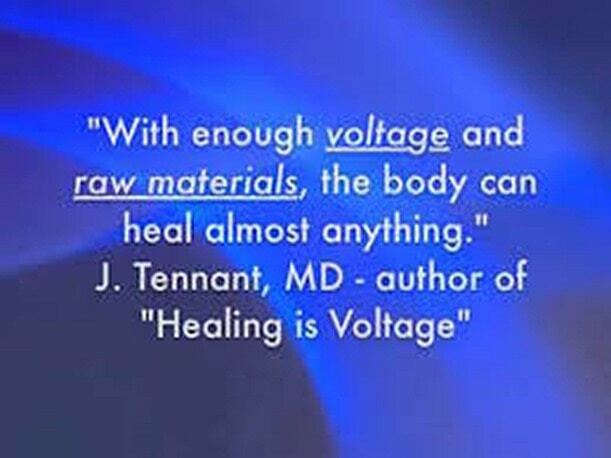 Blood flow is increased through the pulsating electromagnetic field. The exchange of oxygen is extremely fast in the basic tissues. Here the oxygen partial pressure rises by 400 – 800% therefore all cells breath and function better and better. Thermo-graphic measuring charts show the increase of circulation under a magnetic field. This leads to a better nutrition and rejuvenation of cells. The PEMF ensures increased oxygen extraction (de-oxygenation) and enriches the tissue with oxygen. PEMF enhances both anabolism and catabolism. Q. What is Pulsed Electro Magnetic Frequency Therapy (PEMF)? A. PEMF is a therapeutic technology/device which is a fast and easy to use system for pain management and the recovery from sports injuries, lower back pain, muscle aches and pains, headaches, nervous tension and stress, improved immune system high blood pressure and degenerative conditions related to aging. Q. What does PEMF therapy do? A. The PEMF therapeutic device delivers a series of pulsating magnetic frequencies into the client, which creates a penetrating energy that will dynamically interact with cellular metabolism in order to produce a wide range of healing benefits. Those healing benefits to the body are increased ATP production, normalization of cellular membrane potentials, increased oxygenation of tissues and improved removal of toxins from the cells. Q. What is a PEMF session like? A. A PEMF session will essentially feel relaxing. All you do is lie on a the pemf8000 Mattress which has a PEMF8000 system attached. No action or physical activity is required. Most people simply go to a restful, meditative state or fall asleep. Afterwards they arise from the therapeutic experience feeling rested, peaceful and energized…minus some aches and pains. Q. What should I experience during a PEMF session? A. Since everyone is unique and has different physical problems or conditions, each will experience something different. There are numerous types of therapeutic and intensity settings on the device, allowing the individual to increase or decrease the effects. Thus a person can experience many different sensations. Frequently, people will state that they feel a tingling in an area of an old injury, while others say they feel a sense of wellness and relaxation. Check it out for yourself and see what you experience. Q. Who can use PEMF therapy and are there any contraindications to using PEMF therapy? A. Everyone can use PEMF therapy from the very young to the elderly, from sedentary individuals to those that exercise daily. Essentially, anyone at any age group, any level of wellness or fitness can use this technology. All can and will benefit from PEMF treatments while experiencing no negative side effects. There are only a few contraindications for PEMF therapy. Specifically, there are 3 contraindications for using this technology, individuals with 1) pacemakers 2) pregnancy 3) epileptics. Q. How often can I use PEMF therapy? A. PEMF treatment is a safe, easy to use and effective treatment with no negative side effects. Using PEMF according to suggested schedule just 30 minutes, two times per day offers long lasting, significant relief not only throughout the day but throughout the weeks and months, as it mobilizes the body’s healing resources. Q. What are the general health benefits of PEMF therapy? · Normalizes action of the cellular electrical voltage potentials for healthier metabolism. A. Strengthens the cardiovascular system. B. Improves blood circulation and micro-circulation – reduces blood platelet adhesion (stickiness). C. Positive influence on secondary disorders, such as migraine, tinnitus. D. Prevents Thrombosis (blood clots) – patients using blood thinners must consult with physician before using PEMF therapy. E. Regulates high and low blood pressure – stimulates natural release of Nitric Oxide to relax and expand blood vessels. F. Improves blood vessels: improves the cholesterol level, increases the oxygen partial pressure. A. Increases oxygen uptake and reduces respiratory problems and asthma attacks. C. Arthritis – reduces pain and inflammation, improves circulation and oxygenation. C. Speeds post – operative healing of tissues, scars, etc. D. Provides positive effects in: elderly diabetic, rheumatic disorders, allergies, menopausal complaints. B. Positive effects in: Nervousness, Burnout syndrome, Sleeping disorders. Visit the PEMF8000 EBay Wellness Technology Store. PEMF8000 product line has proven to be one of the best pulsed electromagnetic field devices available. Our PEMF8000 engineer’s team has over 20 years of experience with Tesla Technology and diligently engineered the PEMF8000 device for quality and durability. We research, develop & manufacture game-changing technologies for patients who have few treatment options they can count on. PEMF8000, it is unquestionably the step into the 21st century. PEMF8000 .Live Healthier.Live Longer!